There are few things I like eating as much as steak. There are many good cuts, of which rump, rib-eye, fillet, sirloin and t-bone are probably the most well known and I love them all. Personally I usually go for sirloin or t-bone, char grilled over a charcoal fire and sometimes basted with a sticky basting. If the weather’s too crap to fire up the braai, then I’ll pan fry it in butter and serve with black pepper and fresh parsley but to me this is definitely second best to the flame-grilled method. I felt the need for a good piece of meat last weekend so that meant a trip to my butcher. Luckily, I am blessed with a truly fantastic high-class butcher in my little town, Ansell and Sons, who have been on Maldon’s high street for the last ninety odd years. When I need a good piece of meat, I wouldn’t consider going anywhere else. 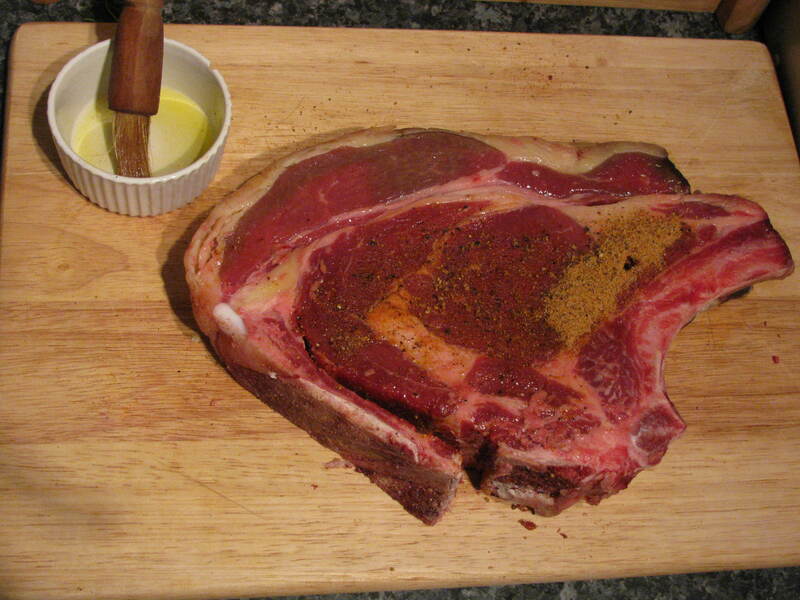 This time I opted for rib-eye, 1.2KG, in one piece, on the bone. 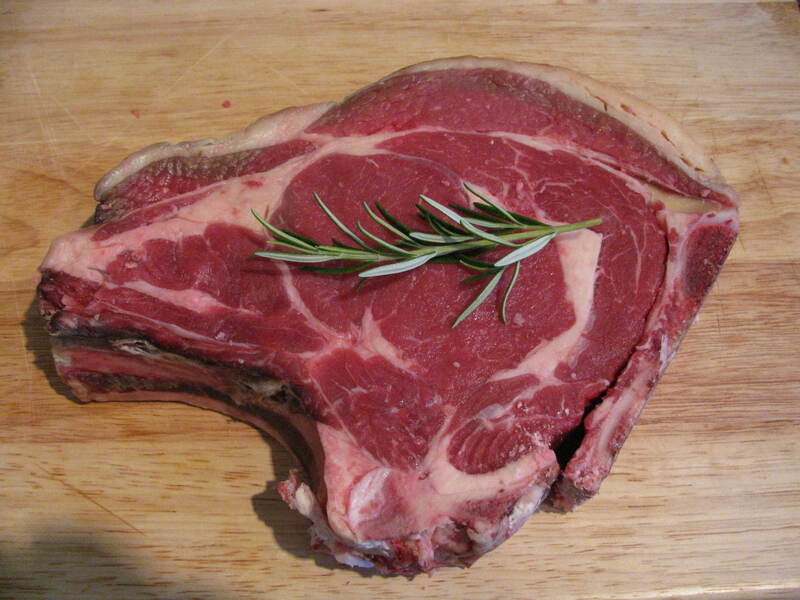 When given the choice, I always cook steak on the bone as the bone itself provides some extra flavour to the meat. It also makes the steak slightly less susceptible to overcooking, which is especially important when it comes to grilling your steak over an open fire. 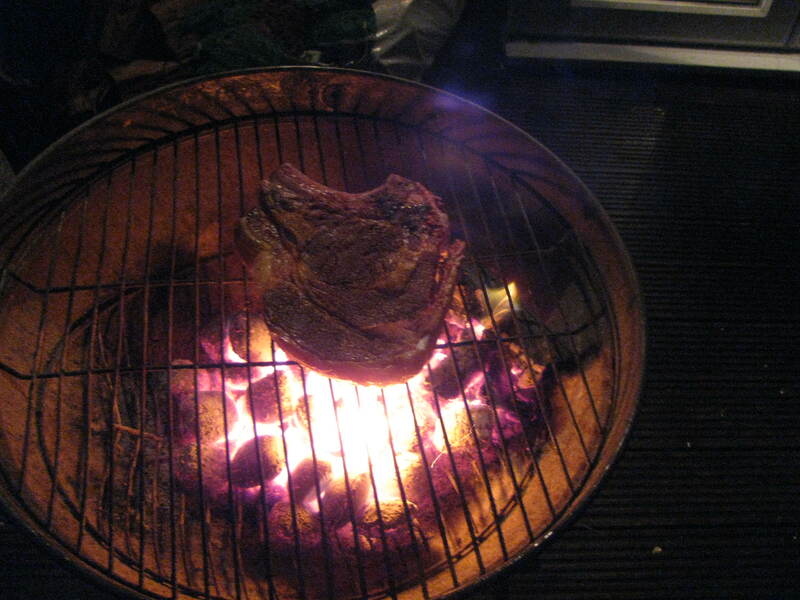 EDIT: If you’re not that experienced at cooking red meat over coals, there’s no shame in using a meat thermometer! I find if you take your steak off the heat when the internal temperature is about 50°C, you will end up with a nice rare steak. For the love of all things good, don’t overcook what is probably a fairly expensive piece of meat. I believe an angel cries every time someone orders or cooks a steak any more well done than ‘medium’. I served it with potato croquettes, roast carrots and streamed asparagus and paired it with a big, young Amarone from M&S, but any big red will do. 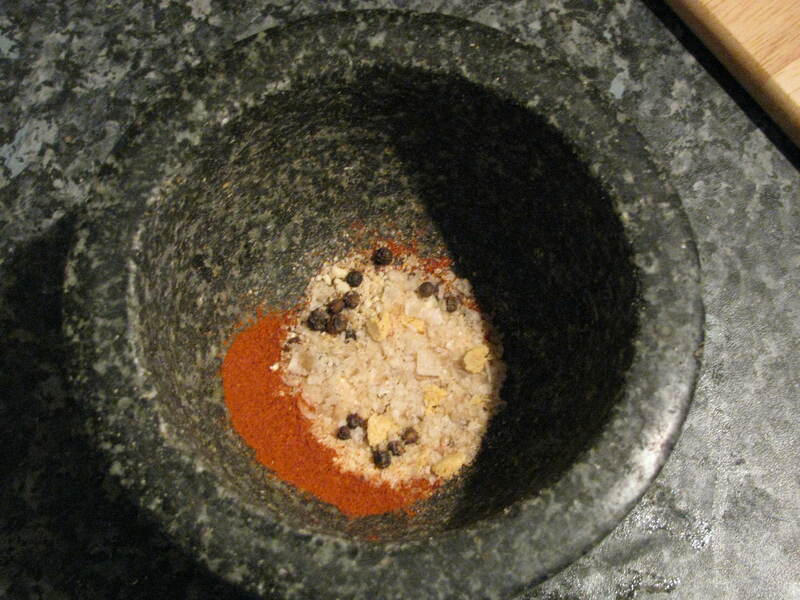 The idea, without wanting to sound too poncy, is to pick something with enough flavour to be able to stand up to the strong flavours in the meat. 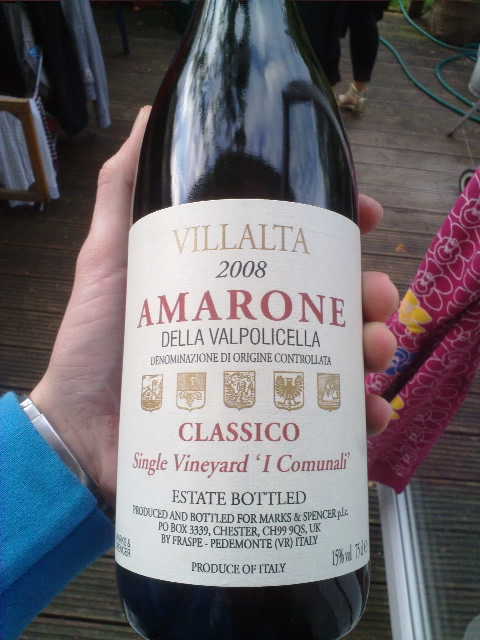 My personal preference is Shiraz from the New World, or something from the Rhone Valley if French but this Amarone was actually pretty fantastic. Incidentally, we didn’t finish the bottle that night so we polished it off the next day with some extra-mature Welsh cheddar. K and I actually both thought that it tasted better the next day. Oh, gorgeous! 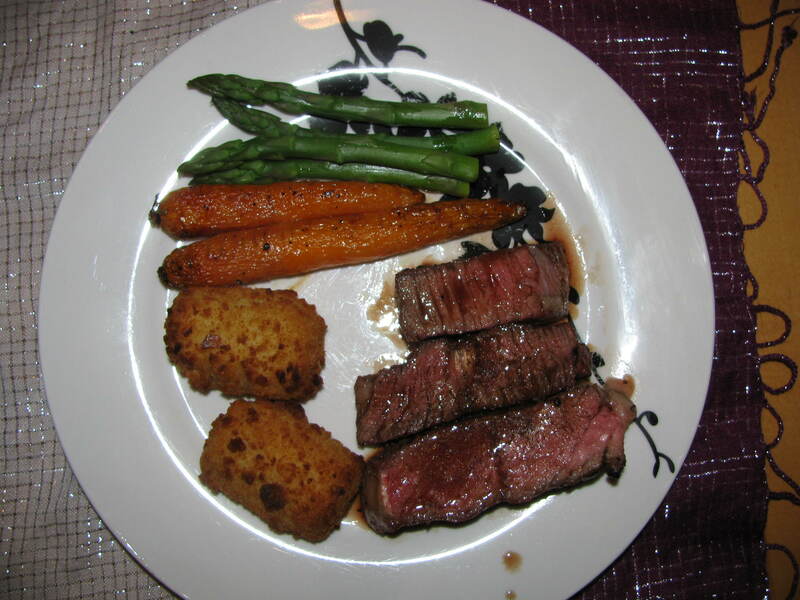 I love a good steak, and that looks utterly mouthwatering – I wish more people would get over the “red meat is bad” craze and enjoy this… or maybe I don’t. Maybe it’s better if they leave more steak for people like you – and me! Hi Veronika, thanks so much for stopping by! What a magic looking meal!!! I’ve Just seen this and have to confess to excessive and indecorous salivation. Moreover this post is providing inspiration for another FFC post. Thanks also for the info on the wines. It’s always good to get views from far afield. Thanks for the kind words! I’d been involuntarily giving the blogging a bit of a sabbatical as things have been a little crazy for me here lately, so I’ve got a stack of stuff to write up and get online. Do you find the WordPress editor as cumbersome as I do? Many thanks for the incredibly kind offer. While I’m unlikely to find myself in Egoli anytime soon but I may very well take you up on your offer some time in the future. Of course the same goes for you, should you ever find yourself in Essex! (Or CT of course, once I return to the promised land, which I most certainly will in the not-too-distant future).